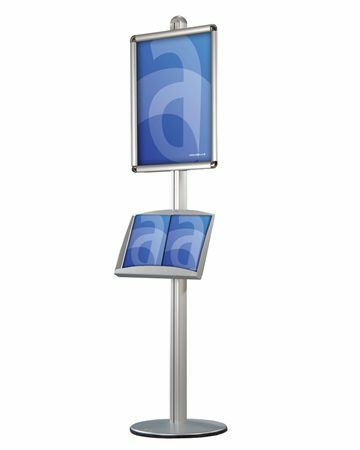 These high quality floor standing poster and menu display systems are the perfect solution for exhibitions, temporary promotions, restaurants or getting your POS or marketing closer to your product. 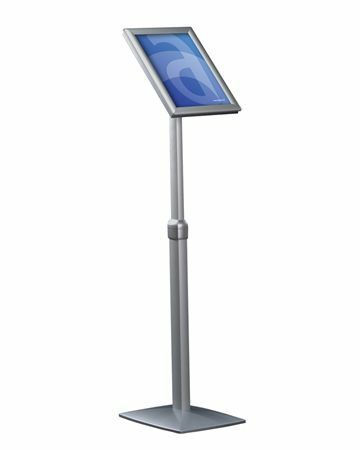 Very stable and versatile, these menu Floorstands are manufactured from aluminium and incorporate our own snap frame poster holders for ease of use and menu display. 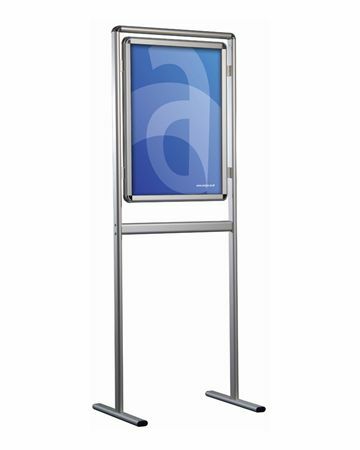 An Aluminium hoop Floorstand with Poster Frame fitted with an A1 poster frame. 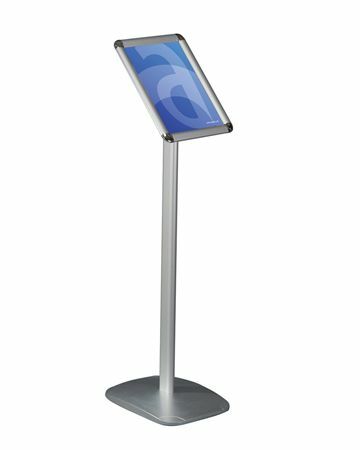 Supplied flat packed for easy assembly on site. 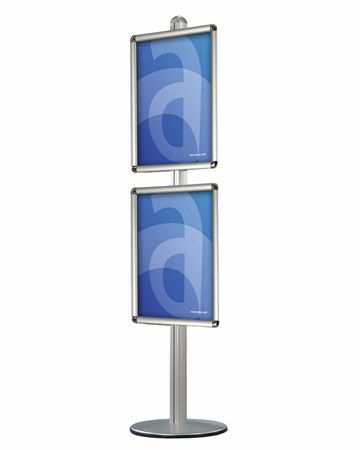 Shelves and other optional extras available separately.